Draft of A Landscape: IRVING PARK VERTICAL and related research. @ Churchill's Hideaway, Miami, FL. and Division of Letters & Papers. 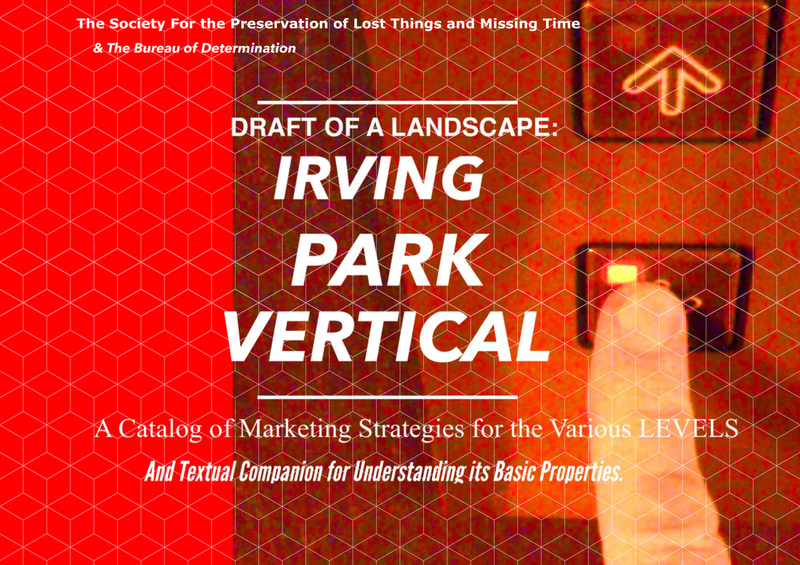 We have designed a poster campaign as marketing strategy for draft of a Landscape: IRVING PARK VERTICAL. Researched & Developed by TSFPLTMT's Bureau of Determination, The Building and its Grounds constitute a multi use facility, industrial research facility, simulation training facility, commerce center, and habitable domestic spaces (with views), and much, much more. The Future is Nigh.